The following policies are established for the Select Program for the seasonal year 2014 - 2015, and govern the tryout process and league and tournament play for the seasonal year. A. The Select Program is under the direct supervision of the Select Program Director, who is appointed by the Soccer Commissioner. With approval of the Executive Committee, the Select Program Director establishes the rules, policies, procedures and guidelines of the Select Soccer Program. Additional duties include representing the Select Program to MSYSA and other organizations, mediating disputes among the teams, determining the appropriate level of play of the teams, ensuring compliance of the program with the GSPAA BOD, Soccer Council, MSYSA, and leagues, and evaluating the success (performance, effectiveness, adherence to the letter and spirit of GSPAA's goals and principles) of the teams. B. The Select Director will appoint the League Coordinators (NCSL, WAGS, BBSL, CMSSL and AAYSL). The League Coordinators represent the Select Program at league meetings, including voting rights for rule changes, new club entries, and other policy issues, represents a team and the club in disputes, distributes and disseminates to their respective teams all artifacts and information pertinent to them, and represents their respective team's interests to the Soccer Council. C. The Soccer Commissioner appoints the Director of Coaching. The Director of Coaching has direct supervision of the coaches in the Select Program, which includes their continuing education, development and credentialing, evaluates effectiveness as a Select coach, ensures compliance with all Select policies, and assigns coaches to teams so as to offer each coach their appropriate opportunity and each team their best outcome. D. The Soccer Commissioner appoints the Director of Player Development, who determines and implements the curriculum for player development, including individual and positional technical skills, strength and speed, and emotional readiness. A. Coaching candidates are evaluated by the Coaching Oversight Committee, which designates each as a Head or Assistant Coach. B. The Head Coach is responsible to the GSPAA BOD through the Executive Committee for the actions of his or her team. This includes ensuring compliance with all policies and procedures of the GSPAA BOD, Soccer Council, MSYSA, and the team's respective league. C. The Head Coach may request a particular Assistant Coach (from the pool of pre-approved coaches) and will appoint the other adults who are officially listed on the MSYSA roster. He or she is responsible for ensuring their compliance with all policies and procedures of the GSPAA BOD, Soccer Council, MSYSA, and the team's respective league. D. The "A" team Head Coach is considered the "mentor" coach of a gender and age group and has general supervision over that group of teams. He or she has the responsibility to ensure that the teams are working to achieve the goals set out by the Director of Coaching, the Select Director, and the Director of Player Development. E. The Head Coach will provide copies of their official MSYSA roster at the start and end of each season, as well as for random audit purposes. F. The Head Coach will ensure that all rostered and guest players and team officials of his or her team are aware of team policies and guidelines and that they are followed, including 1) conduct and sportsmanship, 2) playing time, 3) practice, game and tournament commitments, 4) work ethic and absenteeism, 5) financial obligations, and 6) participation with regard to other sports or activities. Every player and his or her parents or guardians should be fully aware of the nature and extent of their commitment. G. There is no requirement that playing time be equal for all players. The Head Coach is permitted to give more playing time to players who work harder or perform better, by the criteria he or she establishes. It is required, however, that every player who is healthy and in uniform at the game be given sufficient playing time to develop their skills during game competition and to retain their interest in playing for that team. In the younger age groups, the Head Coach should strive for a more egalitarian approach to playing time. H. Each team must use a GSPAA bank account, and all team funds must be made to and paid from this account. A. The Head Coach will be appointed to a team by the Director of Coaching, assisted by the Coaching Oversight Committee. B. Criteria used in the selection and appointment of the Head Coach include coaching skill and experience as evidenced by their soccer resume, licensing achieved, willingness and likelihood to develop a successful team, commitment to the standards of the program, and ability to comply with the policies and guidelines of the GSPAA BOD, Soccer Council, MSYSA, and the team's respective league. C. A Head Coach may be removed with or without cause by the Soccer Commissioner. Before removing a HC, the Commissioner will give the Head Coach the opportunity to appear before the Executive Council. If necessary, the Commissioner may suspend the coaching responsibilities of a coach pending the final action of the Executive Committee. The Commissioner will consult with MSYSA when taking this extreme action. A. GSPAA will provide fields and all of the equipment necessary to meet the requirements of a safe, compliant soccer field, including goals, nets, flags, field paint and liners, as well as cover league, referee and insurance fees and costs, all through the GSPAA Registration fee. B. Each team must play every league and tournament game in the official club uniform set. Uniform selection, numbering and branding is determined by the Executive Committee. Players are responsible for all personal equipment. The minimum kit is a home and away jersey, home and away socks, home and away shorts, and authorized numbers and silk-screening. Additional items such as warm-up suits and gear bags are optional, and proper shoes are required. C. Authorized fundraising activities may be used to defray or fully cover the costs of these items. D. The uniform, and any optional items of equipment or apparel, will not be altered or augmented in any fashion, including player names, sponsor advertisement, or other organizational affiliation, neither permanently or temporarily attached. E. Team officials will be provided club-branded apparel through our Adidas program. Team officials are expected to suit-up for games in club brand and colors. F. Every Select team must play every league and tournament game in the official Select Program kit. All team orders must be obtained from Soccer American, and it is preferred that onesy-twosy supplements also go through Soccer American. 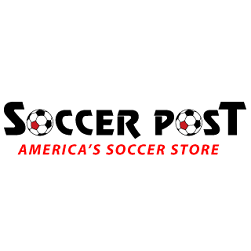 Soccer American sends to the team Manager or their designee an Excel spreadsheet to complete which contains instructions and recommendations on the process, sizing guidelines, etc. A. All teams must be registered with GSPAA and MSYSA. Guest players for tournaments must follow the MSYSA policy for guest players. GSPAA takes the issue of proper liability very seriously. Any coach found to be playing an unregistered player is subject to dismissal. B. All teams are expected to be constituted with players who are in that age group. Except as noted herein, players are not to "play up". Exceptions to this rule are 1) for the entry level age group, U9 (including the preceding spring's U8 teams), if league rules allow. However, such players must return to their natural age bracket team the following year, unless they meet any other exemptions, 2) for a player whose size, strength or athleticism would result in a serious mismatch with other children in the natural age group, 3) for a player whose technical skill is extraordinary, or 4) for the purpose of filling a roster in U15 and older age groups, unless doing so significantly injures the competitiveness of the natural age team. A player who plays up may do so only for the "A" team. The Head Coach must make the Director of Coaching or the Commissioner or Deputy Commissioner aware of players on their roster who are "playing up". C. In addition, a player may not play up more than one year beyond their natural age group. D. Females may play on a male team, determined on a case-by-case basis, with prior approval of the Commissioner or Deputy Commissioner in consultation with the Director of Coaching, the Select Director and the Director of Player Development. A female player on a male team may play only in their natural age. E. An exemption for any of these team composition policies may be granted for compelling reasons, by the Commissioner or Deputy Commissioner in consultation with the Director of Coaching, Select Director and the Director of Player Development. F. Participation is restricted to players living in Anne Arundel County, with the following exceptions: 1) U9 and U10 may have one out-of-county player, 2) U11, U12 and U13 teams may have up to four out-of-county players, 3) U14 and U15 teams may have up to six out-of-county players, and 4) U16 and above teams may have up to half of their roster made up of out-of-county players. Exemptions may be granted for extraordinary circumstances, determined by the the Commissioner or Deputy Commissioner in consultation with Director of Coaching, the Select Director and the Director of Player Development. Players whose families relocate out-of-county during the seasonal year will not count against these limits. G. Once a team is formed and the MSYSA rules on player movement apply, the club further stipulates that no player may move from one team within the club to another without the prior approval of the Commissioner or Deputy Commissioner in consultation with the Director of Coaching, the Select Director and the Director of Player Development. While it is the unfettered right of a player to leave a team at any time for any reason, a player has no right to join a team. H. Please read and familiarize yourselves with the GSPAA Policies and Guidelines, including outside training and fundraising. See the Select Program Overview for costs and who bears them. GSPAA encourages each child who participates in a sport to devote his or her best efforts to the sport while that sport is in season, and to do so not only in games but also in practice. On occasion, a child may have both the skill and the interest in playing two sports during the same season. While GSPAA encourages players to participate in multiple sports, doing so in the same season often leads to conflicts between the two sports and the coaches of the teams for whom the player is playing. It can also have negative fallout for the player and his or her teammates, especially when the player opts to play the other sport when his or her teammates feel that he or she should be playing with them. In keeping with its mission of encouraging kids to play any sport that is offered by GSPAA, there is no policy prohibiting a player from playing two select sports in the same season. The player and that players parent(s) are strongly encouraged to be honest with the coach of each sport, to resolve any conflicts in a manner that is least harmful to all concerned, and to provide reasonable notice to both coaches when a conflict does arise. In similar fashion, the coaches are strongly encouraged to work together so as to minimize conflict, and to avoid penalizing the player for making a decision to play the other sport on a given night. The goal of the GSPAA is Putting Kids First, and that should always be the primary goal of every coach, parent and Commissioner in the program.